The High Plains of America is wide, open and beautiful. High Plains Home & Yard is a bi-monthly series featuring gardening tips specific to the High Plains climate, home energy saving ideas and suggestions for easy to care for house plants. 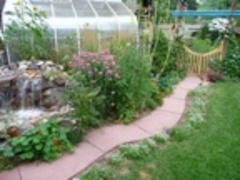 High Plains Home & Yard covers everything from your garden to your home. As we start the series in the winter, shows will start in the home with suggestions for house plants and how to care for them. The show will also look into some interesting, little known facts about produce. As the weather starts to warm up and we move closer to spring, the show will give suggestions for trees, plants and flowers that can survive the weather specific to the High Plains. Shows will also cover lawn care, pest control and gardening equipment. Through the summer and into the fall, shows will feature tips for a successful garden harvest.